Meeting with giants is just the tip of the iceberg. The prime season for iceberg viewing is mid May to mid July each year. 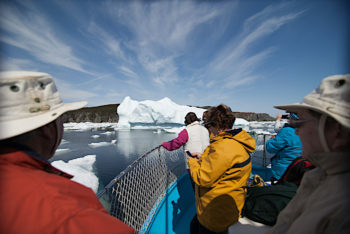 See more Boat Tour information. 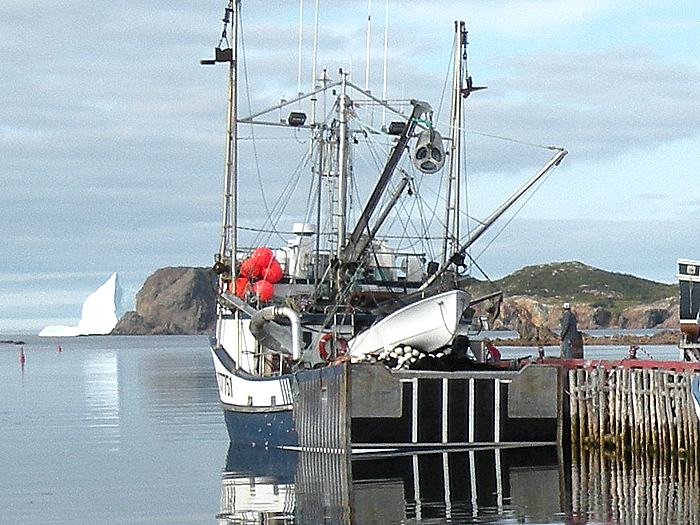 You never know where you’ll see them next. Often a giant iceberg waits around the corner in a cove or bay when you least expect it. 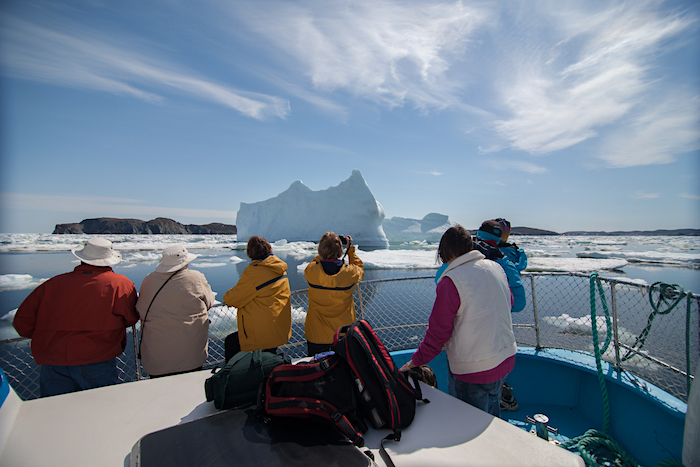 Twillingate offers a choice of iceberg and whale watching boat tours that will take you closer to these awesome structures. 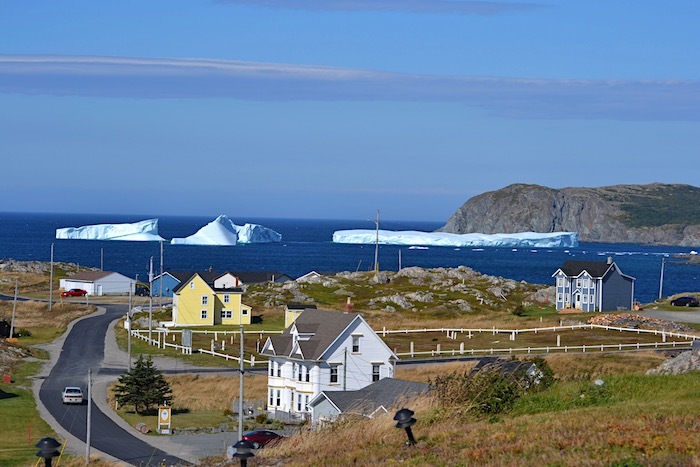 Known as the Iceberg Capital of the World, Twillingate is one of Newfoundland’s best locations for admiring these giants of nature that break off the ice cap in Baffin Island, Greenland. 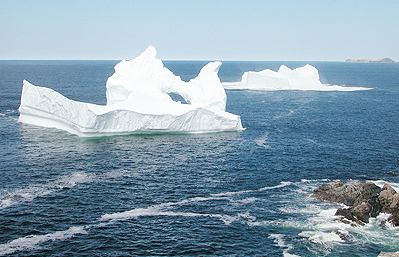 Despite their size, icebergs move an average of 17 kilometers (about 10 miles) a day. 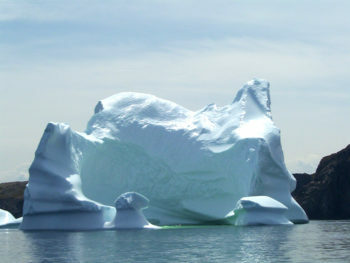 These icebergs originate from the glaciers of western Greenland and may have an interior temperature of -15 to -20°C. 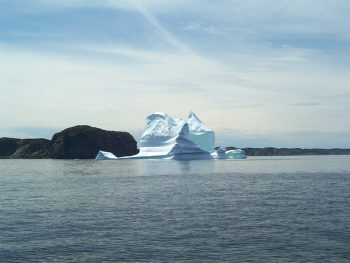 Icebergs are usually confined to move close to the coast by winds and currents. 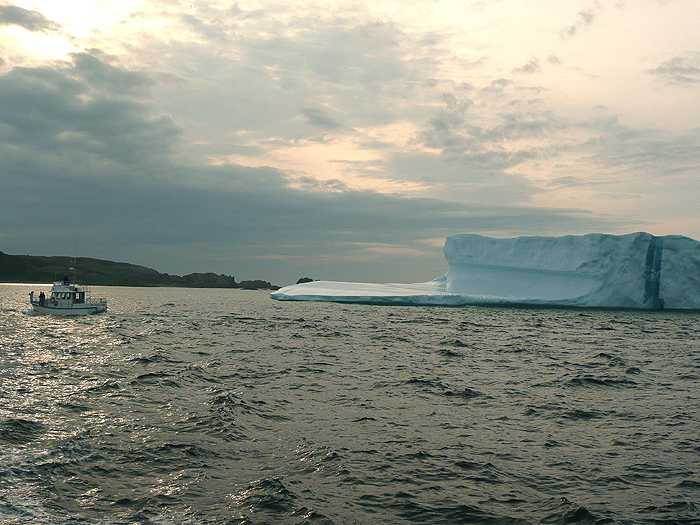 On a foggy April night in 1912 it was one of these icebergs that sank the Titanic. Try a piece of iceberg or “bergy bit” in your glass. These icebergs are ancient structures of pure glacier water and when a bergy bit melts in a glass filled with a beverage, it makes a fizzing sound, called “bergy seltzer”. 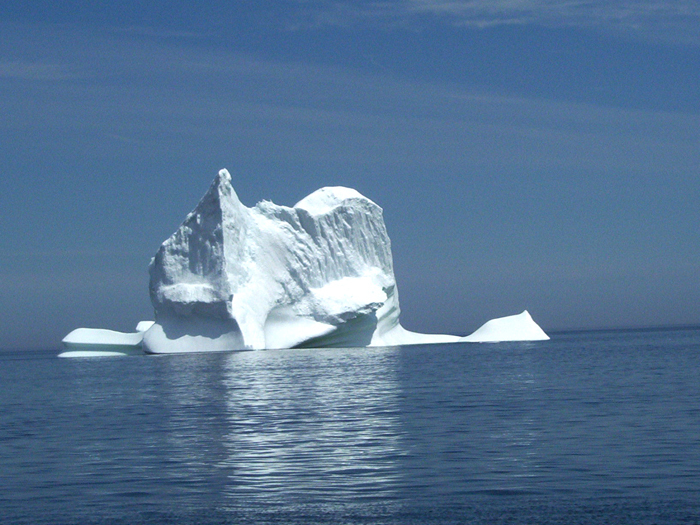 This sound is created when compressed air bubbles trapped in the iceberg escape. 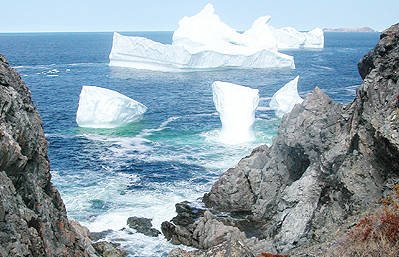 The bubbles come from air trapped in snow layers that later become glacial ice. 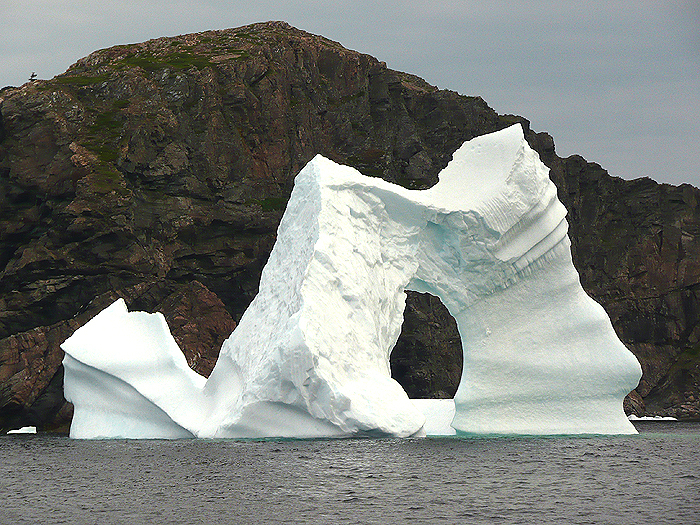 Witnessing one of these giant icebergs calve (break up) is a breathtaking experience. 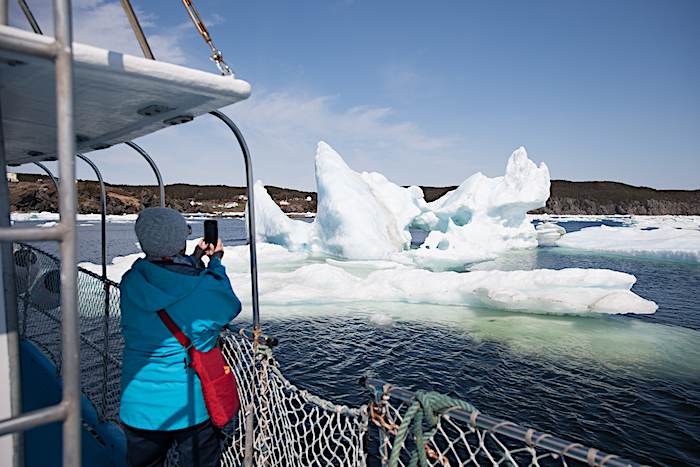 Remember to bring your camera and zoom lenses. 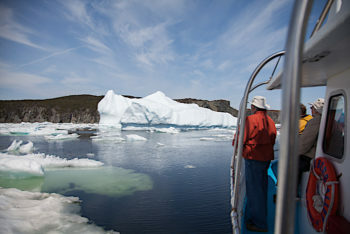 Every year from mid May to September a variety of whales swim through the rich feeding waters along the coast of Newfoundland. The highlight of whale watching is seeing a whale tale above the surface. 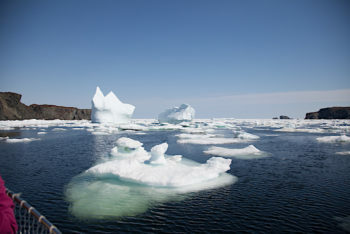 As many as 22 species of whales have been recorded in the waters around Newfoundland, such as humpbacks, fin whales, sperm whales, blue whales, minke whales, pilot whales and potheads. 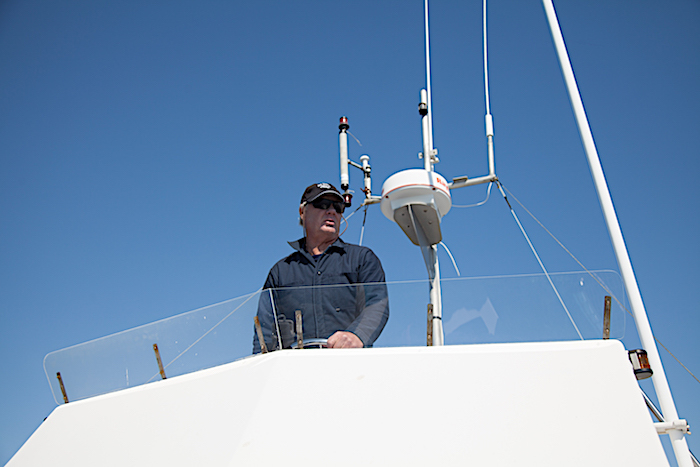 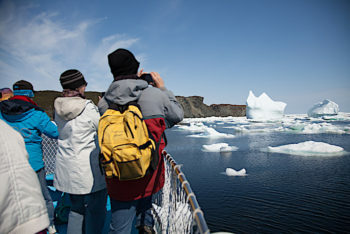 When going out by boat, keep your camera ready because you may see even dolphins, seals and a variety of sea birds. Humpbacks and minke whales are the most common whale species but dolphins and fin whales are also occasionally seen. 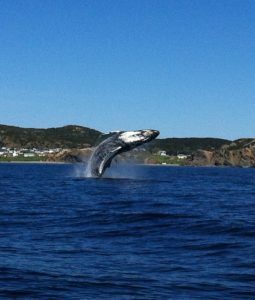 Humpback tails are as distinctive as human faces or fingerprints. 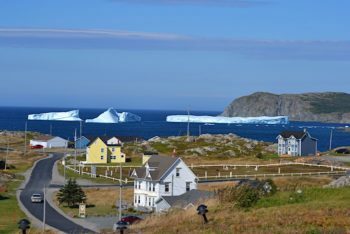 The lookout point at Twillingate’s Long Point Lighthouse is a good spot for whale watching, but a surprise may await anywhere along the coastline. 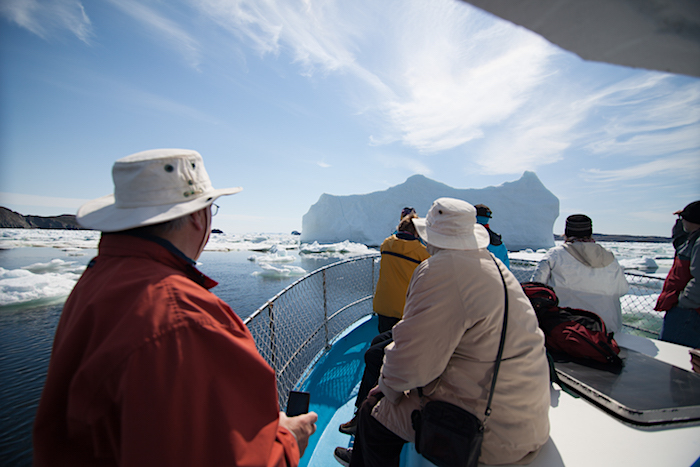 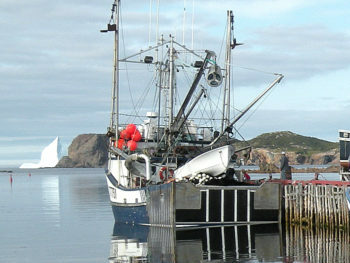 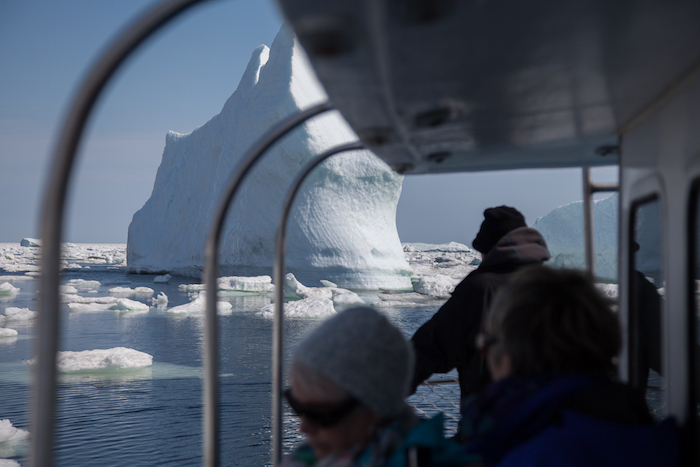 Twillingate’s many tour operators have daily tours to bring you close to whales, icebergs and other marine life. 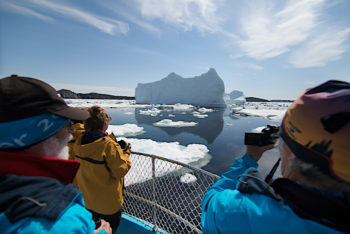 The coves and islands in Notre Dame Bay create the perfect conditions for sea kayaking – another perfect way to get close (not too close) to these sea mammals! Twillingate is also the home of North America’s largest population of humpbacks, seabirds and yet both the sea and shores remain pristine and enchanting. Capturing icebergs on camera from a boat tour. 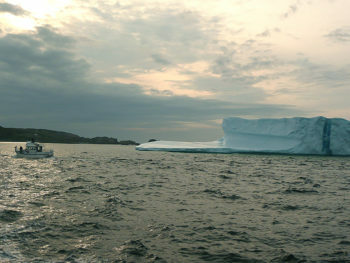 Lovely cruise to the icebergs at dusk.